The nature of Adventure Racing is that anyone of any age and fitness can take part, from the very beginner to the ultra racer. In 4 hours, using a 1:25k waterproof map, you plan your route and navigate to as many checkpoints as possible within the time. Starting on foot, there will be one transition to mountain bikes. You plan and run your own race, although there are prizes for the ones who collect the most points in each category. You decide how many CPs you want to visit and in what order. Distance covered depends on how many checkpoints are visited, and can be anything from 20k to around 40+k, dependent on your level of fitness, as well as your running/MTB and map reading skills. Minimum age to take part is 16. 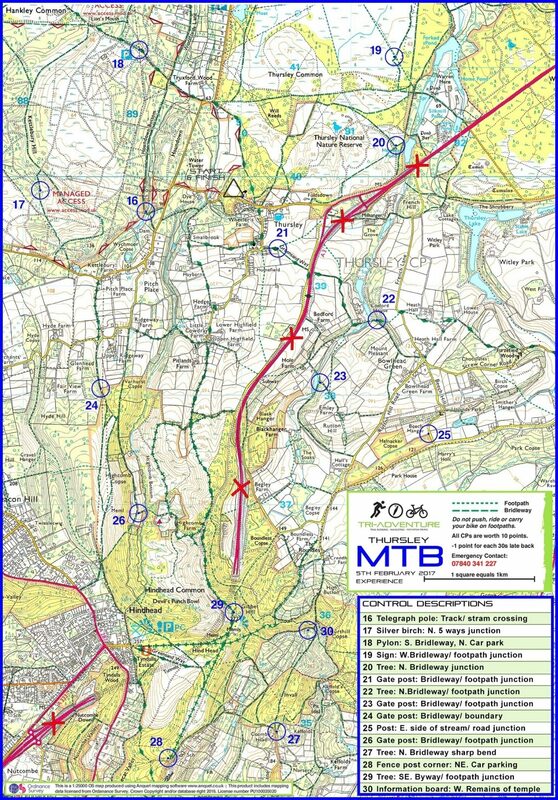 The Tri-Adventure 4 hr 'Long' combines off-road trail running, mountain biking, and navigation over a 4 hour course. You will receive a waterproof marked map, race number and dibber. These events will appeal to experienced Adventure Racers, looking for an endurance experience. Registration opens at 07:30am; event starts at 10am, with an option to start earlier, from 08:30am; Solo and Pairs entry. Minimum age for individual entry is 16. 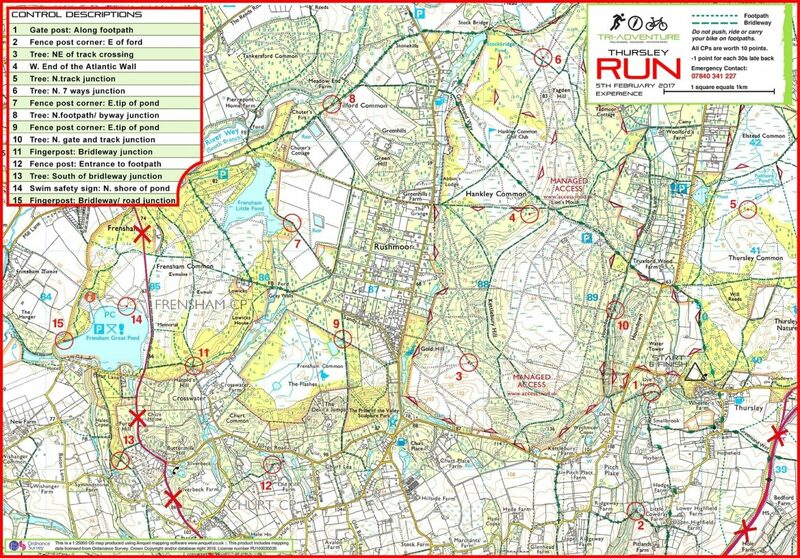 The event has a mass start on foot at 10:00am for those not starting earlier, and finishes at 14:00pm. For those starting before 10:00am, you have a choice of starting either on foot or on bike. You may only transition once from foot to bike or vice versa. Using the waterproof map provided, navigate to as many checkpoints as you can within the 4 hour limit. There is a maximum of 30 checkpoints, split evenly between the run and mountain bike. You decide how long you spend on each discipline.